Well the brown beetle are now truly taking to the wing however we don’t always wait until beetle season to tie on a terrestrial. Galloup’s Antacid is a favourite of mine from the grassy, front country streams to the high country wilderness. Its subtle, uber buggy and fish everywhere just love them. Fished throughout October, the Antacid offers a non-mayfly option before terrestrials show, then throughout the summer months it offers a sneaky alternative as fish become weary of blowflies and cicada patterns. 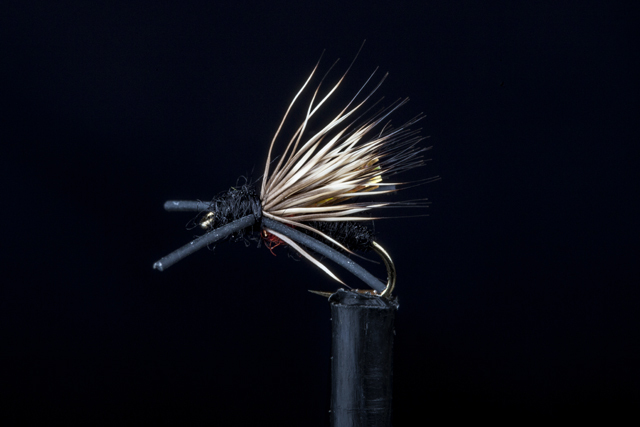 Small and subtle the rubber legs and deer hair wing make it a favourite indicator dry for flat water or gentler runs, and dropped onto the edge waters along a grassy bank it can prove dynamite. So stock up your box with a few Gallops Antacids this season. It’s another winner from the Manic Fly Collection.